January 8, 2011: Six people are killed and 13 wounded at a "Congress on Your Corner" event sponsored by U.S. Rep. Gabrielle Giffords, a Democrat, at a grocery store. Giffords is shot in the head but survives. January 9, 2011: Suspect Jared Lee Loughner is charged in federal court with five counts: the attempted assassination of a member of Congress; the murders of Gabe Zimmerman and Judge John Roll; and the attempted murders of Pamela Simon and Ron Barber. August 7, 2012: Loughner pleads guilty to 19 charges in exchange for the government not seeking the death penalty. 2006: Loughner drops out of high school after his junior year, reportedly after being hospitalized for alcohol poisoning. 2007: Loughner is arrested for possession of drug paraphernalia, but the charges are dismissed. 2007: Loughner meets Giffords at a community event. He develops a fixation on the congresswoman after he is unsatisfied with her answer to his question. 2008: Tries to enlist in the Army but is rejected after failing a drug test. 2010: Loughner is suspended from Pima Community College after displaying erratic behavior. He is told he can't return to campus unless he presents a doctor's note saying he is not a danger to himself or others. He voluntarily withdraws from the school. 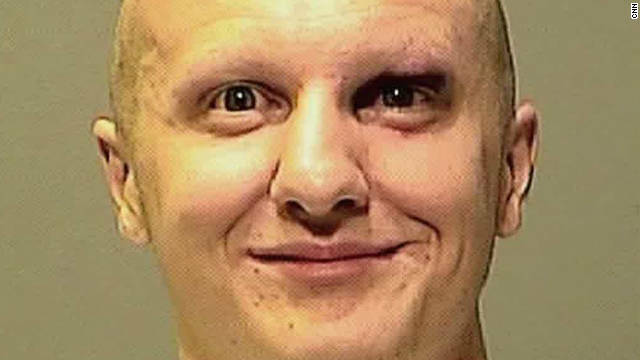 November 30, 2010 - 22-year-old Jared Loughner purchases a 9mm pistol at a Tucson area gun store. January 8, 2011 – About two and a half hours before the shootings, he is stopped by an Arizona Game and Fish Department officer for running a red light and is let go with a verbal warning. January 8, 2011 – About 30 minutes before the shootings, Loughner takes a cab from a convenience store to the Safeway grocery store where Giffords' event is being held. January 8, 2011 – (10:10 a.m.) – Loughner allegedly opens fire on a crowd of people at the Giffords event. Six people are killed and 13 wounded. As Loughner attempts to reload his pistol, he is tackled and disarmed by several bystanders. January 9, 2011 – Loughner is formally charged with five counts in federal court: the attempted assassination of a member of Congress; the murders of Gabe Zimmerman and Judge John Roll; and the attempted murders of Pamela Simon and Ron Barber. January 10, 2011 – Loughner faces his first court appearance to formally hear the charges against him. January 19, 2011 – A federal grand jury in Arizona indicts Loughner. January 24, 2011 – Loughner pleads not guilty to all charges against him. February 11, 2011 – Prosecutors file a procedural motion to dismiss two murder charges against Loughner, though they intend to refile the charges under a superseding indictment. March 4, 2012 – Federal prosecutors file an additional 49 federal charges against Loughner. March 9, 2011 – U.S. District Court Judge Larry Burns enters "not guilty" pleas on behalf of Loughner on 49 counts, including murder and attempted murder. March 22, 2011 – Burns orders Loughner to undergo a mental evaluation in Springfield, Missouri, no later than April 29. May 25, 2011 – Burns rules that Loughner is not competent to stand trial. May 27, 2011 – Loughner arrives at the Medical Center for Federal Prisoners in Springfield, Missouri. June 29, 2011 – Burns sides with prison doctors and rejects a motion from defense attorneys to stop Loughner's forced medication. July 7, 2011 – Before a federal appeals panel, the defense argues that forcing Loughner to take mind-altering psychotropic drugs violates his rights. July 12, 2011 – The federal court rules Loughner has not been convicted of a crime, therefore he has the right to refuse to take anti-psychotic medication. July 22, 2011 – A federal appeals panel reverses the July 12 decision and orders that authorities can force Loughner to take anti-psychotic medication. Prosecutors had argued that his mental state is deteriorating and he is suicidal. August 31, 2011 – An appeals court in San Francisco hears arguments from Loughner's lawyers to try to end the forcible medication. They argue that criminal defendants have a constitutional right to refuse mental treatment when the government's primary goal is to make suspects competent enough to be convicted and possibly sentenced to death. September 28, 2011 – Judge Burns extends Loughner's treatment at a Missouri medical treatment facility for four more months, at which time Loughner's competency will be re-evaluated. January 8, 2012 – Giffords attends a vigil in Tucson marking the one-year anniversary of the shooting. She leads the crowd of thousands in the Pledge of Allegiance and later lights a memorial candle for the six people killed. January 25, 2012 – In front of the U.S. House of Representatives, Giffords resigns from office via statement read by U.S. Debbie Wasserman Schultz. August 7, 2012 – Burns determines that Loughner is competent to stand trial in a federal court in Tucson. Loughner pleads guilty to 19 charges in exchange for the government not seeking the death penalty. Simon DeDeo is an Omidyar Fellow at the Santa Fe Institute, where he researches theoretical biology and physics. He tries to explain why space exploration, such as this week's landing of a rover on Mars, strikes such a chord with so many of us. Maybe we saw something deeper in the successful landing of Curiosity. We experienced - even if vicariously - a group achieving unambiguous excellence. In a nation where a city like Detroit can nearly collapse, where consensus on important policy issues seems far off, where some of the "best and brightest" minds of finance have built fragile institutions, how is it possible that a large cast of scientists and engineers can pull off such a remarkable task? Never, I tell you ... Never. I will chain myself to my PC. They can have it when they pry it from my cold dead hands. It's constitutional, the right to bear PCs. Readers also turned a jaundiced eye toward the news that American judo athlete Nicholas Delpopolo had been thrown out of the Olympics after a failed drug test he blamed on inadvertently eating food that had been baked with marijuana. It appears the marijuana also caused him to lose any semblance of rationality. That has to be the worst excuse I've ever heard, except for 'the dog ate my homework'. If you want to be a pothead, live with the consequences. "Oops, I ate a pot brownie." This guy's credibility just went in the toilet. There's a good restaurant in East Atlanta Village called Holy Taco. Maybe they could work out some kind of a deal with La Amistad Adult Daycare in Beeville, Texas, where Ernesto Garza discovered a startling image on his breakfast taco. CNN affiliate KENS has the rest of the story. 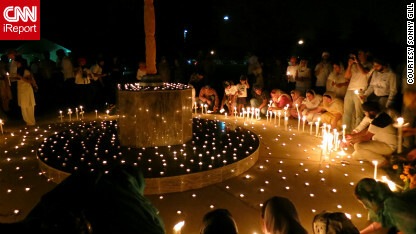 CNN iReporter Sonny Gill's photo shows Sikhs and supporters gathered for a candlelight vigil Monday in Palatine, Illinois. Click on the photo for more images from the event. CNN iReporter Sonny Gill, 30, of Chicago is a member of a Sikh community in Palatine, Illinois. He took part in a vigil to honor the victims of the mass shooting at a Wisconsin Sikh temple. "I personally went to the vigil to support our community and family of Sikhs who are going through this hard time. 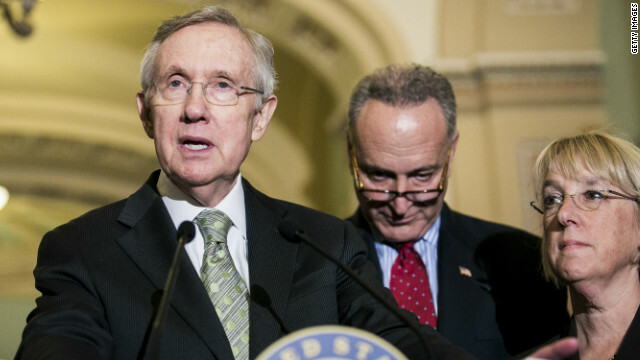 And to show that their strength is still here, regardless of these senseless acts," he told CNN. "The biggest thing that stuck out to me was that we received prayers and heard from various community members from different backgrounds and religions. That truly showed how united we are as Americans and that one person's act will not deter us from continuing down our path of welcoming peace." The U.S. Postal Service Board of Governors is expected to discuss Wednesday and Thursday the post office's failure to make its August 1 payment into a retiree health care plan, and the even bigger financial problems that default indicates. Peter Brown, assistant director of the Quinnipiac University Polling Institute, will hold a press conference at 10 a.m. Wednesday to discuss results of a Quinnipiac University/New York Times/CBS News poll focusing on the presidential swing states of Colorado, Virginia, and Wisconsin. Another Quinnipiac poll last week focused on Florida, Ohio and Pennsylvania. 1876 - Thomas Edison patents the mimeograph. 1919 - Great Britain recognizes Afghanistan's independence. 1963 - Fifteen thieves in Great Britain make off with more than $6 million in what becomes known as "The Great Train Robbery." 1974 - President Richard Nixon announces he will resign in a national television address; he leaves office the next day. 1990 - Baseball star Pete Rose begins a five-month federal prison sentence for filing false income tax returns. 2011 - Standard & Poor's downgrades U.S. sovereign debt for the first time in history. Ernesto is expected to bring areas in Belize, the southern Yucatan Peninsula and northern Guatemala up to 12 inches of rain. Tropical Storm Ernesto is expected to reach hurricane strength by the time it makes landfall on Mexico's Yucatan Peninsula on Tuesday night. The Mexican government extended a hurricane warning north to the city of Tulum on Tuesday as the storm churned in the Caribbean. 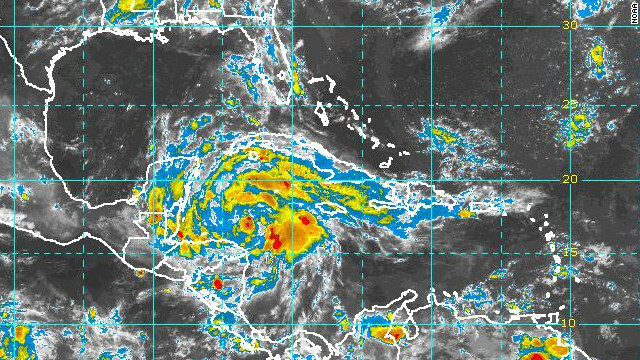 Neighboring Belize issued a hurricane warning for its entire east coast. In Nicaragua, government officials said they were evacuating about 1,500 people in coastal areas and had banned boats from setting sail. As of 11 a.m. ET Tuesday, the storm was about 220 miles (350 kilometers) east of Chetumal, in Mexico, the National Hurricane Center reported. Ernesto was moving west-northwest at 14 mph with maximum sustained winds of 65 mph. Marvin Hamlisch, a prolific composer who put together musical ensembles for an array of movies, television and theater shows, has died, his agent confirmed Tuesday. His work over a four-decade career earned him three Oscars, four Grammys, four Emmys, a Tony and three Golden Globe awards, composing more than 40 scores for films that include "The Way We Were" and "The Sting." On Broadway, he wrote music for the Pulitzer Prize-winning show "A Chorus Line," as well as "They're Playing Our Song" and "The Goodbye Girl." Hamlisch was 68. 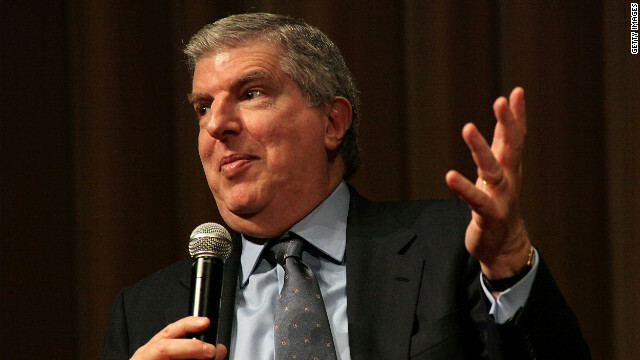 "Music is truly an international language," Hamlisch said on his official website. "And I hope to contribute by widening communication as much as I can." Social media was abuzz Tuesday with reflections about the legendary composer and the legacy he left. "The evenings we spent with you and the Pittsburgh Pops are memories that will last forever," Jean Elliot Boyer wrote on his official Facebook page. "Your banter with the audience and your down-to-earth style will stay with me forever." "The world will miss your gift," wrote Gail Dwyer. The Juilliard School of Music graduate held the principal pops conductor post at various American orchestras, including the Pittsburgh Symphony Orchestra and the Pasadena, San Diego and Seattle Symphonies. Gunmen attacked a church in the central Nigerian state of Kogi, killing at least 19 people, a military official said Tuesday. Among the dead was the pastor of the Deeper Life church in Okene, Lt. Col. Gabriel Olorunyomi said. No one has claimed responsibility, but immediate suspicion fell on the militant Islamic group Boko Haram, which has carried out similar church attacks in the past. An eyewitness told CNN that the attackers were carrying sophisticated firearms and shot randomly at the members of the congregation gathered for Bible study Monday night. Blood flowed through the church as bodies fell limp, the witness said. The United Nations has pulled all of its 24 monitors out of the Syrian city of Aleppo because of the "deteriorating security situation," a spokeswoman for the mission there told CNN. Juliette Touma said all of those people part of the U.N. mission in Syria have been moved back to Damascus amid growing violence. "This is a temporary move back to Damascus and we still hope to return the team when the security situation allows," Touma said. Q&A: What options are left in Syria? Syria's president welcomed a top official Tuesday from Iran, a friend and ally of the much reviled and increasingly isolated government in Damascus. Saeed Jalili, secretary of Iran's Supreme National Security Council, met with President Bashar al-Assad to discuss resolving the 17-month-long civil war and rescuing several Iranians who were kidnapped over the weekend. State TV showed footage of Jalili and al-Assad in the first video of the president that has surfaced since last month. Jalili called on Syrians to sit down and forge a solution to the crisis, which morphed into a nationwide uprising and civil war after government forces cracked down on peaceful protesters in March 2011. 11:40 am ET - Romney in Illinois - GOP presidential candidate Mitt Romney takes his campaign to Elk Grove Village, Illinois, where he'll discuss the economy at a manufacturing plant. Police in Florida are trying to solve a mystery surrounding a man arrested with a enormous stash of fake military, law enforcement and medical paraphernalia including federal badges, police radios and even a full NASA flight suit and helmet. In all, Roy Antigua had about 200 suspicious items when he was arrested earlier this month, said James Steffens, chief of the New Port Richey Police Department. The cache found in Antigua's two homes and Cadillac Escalade included diplomatic license plates, dozens of fake identification cards from the Department of Homeland Security, Immigration and Customs Enforcement, Department of Defense, CIA and NASA. The suspect also had access badges to hospitals around Florida, doctor and nurse scrubs, a respiratory technician badge, police blue lights and access stickers to Coast Guard bases around Florida, Steffens said. Authorities are wondering if Antigua, 52, was a frequent guest at costume parties or if he was hatching something sinister. James "Whitey" Bulger, the reputed former Boston mob boss who was arrested last summer in California, will take the stand when his murder trial starts in March 2013, his lawyer said Monday. Bulger faces 19 murder charges, as well as charges that include extortion, money-laundering and narcotics distribution. "At this point in his life, his goal is to have the truth come out regarding how he was able to act with impunity for so long in the city of Boston," his lawyer Jay Carney told CNN affiliate WCVB. The defense had initially moved to dismiss the case, saying that Bulger had been given immunity by federal agents working to infiltrate Irish and Italian mobs in Boston three decades ago. Bulger's lawyers had repeatedly argued that the amount of evidence, some 300,000 documents and surveillance tapes, made the March trial date unrealistic. But Carney said Monday that the defense planned to take another tack. Tropical Storm Ernestois expected to become a hurricane by Tuesday evening as it churns through the southern Caribbean toward the Yucatan Peninsula, forecasters said. The Mexican and Belizean governments issued hurricane warnings Monday as the storm advanced. As of late Monday, the storm was about 265 miles (425 kilometers) east of Isla Roatan in Honduras, the National Hurricane Center reported. Ernesto was moving west-northwest at 13 mph with maximum sustained winds of 65 mph. Its bands stretched 125 miles (205 kilometers) from the storm's center, the service said. Quick. Think of a white supremacist group. What comes to mind? The Ku Klux Klan during the 1920s? Maybe the Nazis in World World II? Hundreds of white supremacist groups are active in the United States today and are experiencing a kind of resurgence. They are in the spotlight this week in the wake of a deadly shooting at a Sikh temple outside Milwaukee. Authorities have said they are looking into whether the alleged gunman, who was killed, had ties to a white supremacist group. "I know they're out there. I try not to alarm the public too much, but it's something that really needs to be taken a hold of now because more and more we see facts coming out that this is happening more often and more often, and it's not going to stop anytime soon," said David Gletty, who worked as an undercover informant on extremist groups for the FBI.